Koh Phi Phi Don is the only island of the group that is inhabited and features accommodation choices to an ever growing number of visitors, year after year. The H-shaped island presents four main areas housing a wide and eclectic range of hotels to all those who want to spend a holiday in the ultimate tropical beach destination in southern Thailand. Tonsai Village is the liveliest area in Phi Phi, you’ll find here a buzzy scene of restaurants, bars and shops. Long Beach provides its guests with a tranquil seaside type of vacation yet, its proximity with Tonsai Village permits to get the best of both atmospheres. 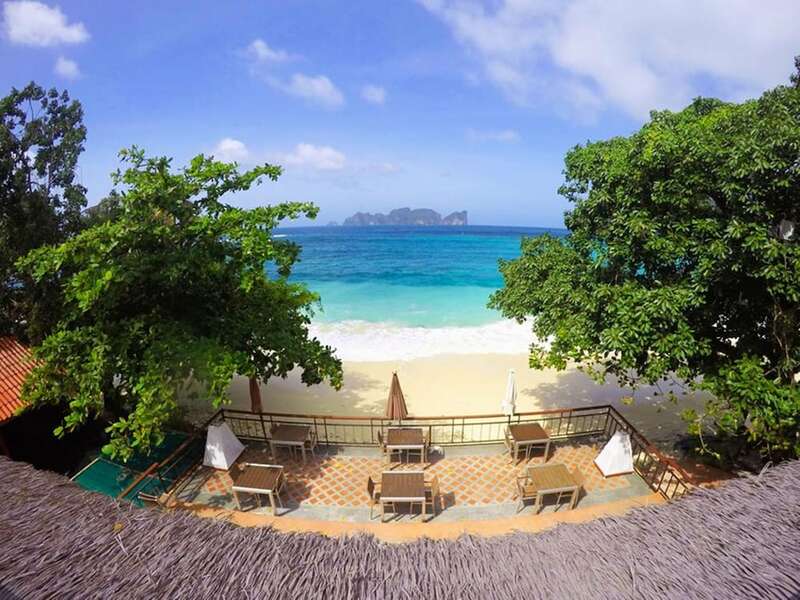 Phi Phi East coast hosts a good choice of small beaches offering a ‘get away from it all’ type of holiday at fair rates, while Laem Thong – located toward the northern tip of the island – houses high-end resorts in a pristine environment. Tonsai Village is the capital city of the Phi Phi Islands. Settled on the horizontal bar of the H-shaped island, it includes Tonsai (south) and Dalum (north) bays which feature dynamic dining, shopping, and nightlife entertainment scenes. Each of the sub-areas of Tonsai Village has its own characteristics and assets. If you like to socialize while on holiday, Tonsai Village is the best place to go in Phi Phi. Located toward the eastern end of Tonsai Bay, Long Beach is a 600-metre long strip of white powdery sand leaning back against hills covered with lush tropical vegetation. Long Beach is a tranquil destination which features a cool choice of fairly rated hotels and restaurants. The highlight of Long Beach is Hin Phae, a stunning snorkelling spot located 200 metres from the shore which permits to swim with black tip reef sharks! The other asset of Long Beach is its nearness with Tonsai Village that allows to get there in a five-minute journey by long-tail boat or 20-minute walk on foot. Phi Phi Don east coast is the favourite destination to all those looking for a holiday off the beaten track. When cruising along the east coast in a long-tail boat, the emerald colour of the sea bordering the shore and the shades of green of the rain forest that covers the hills give the impression of a step back to primitive times. 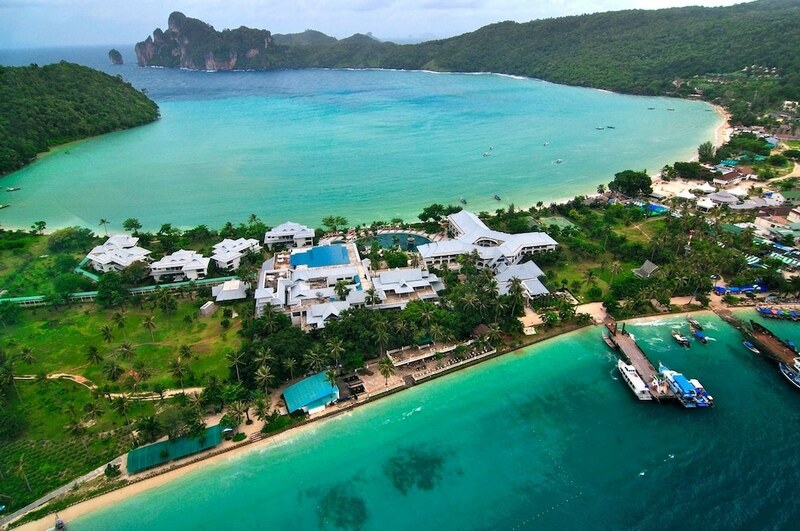 Phi Phi Don east coast harbors a few pristine beaches large enough to feature accommodation choices. From Rantee to Phak Nam (Relax) to Loh Bagao, you can find here the ultimate ‘get away from it all’ type of vacation. Laem Thong is almost the cliché of a tropical beach paradise. This 900-metre long strand is fringed by coconut trees and bordered by turquoise waters harboring a splendid coral reef at short distance from the shore. Laem Thong is the beach where you can find some of the most luxurious resorts on Phi Phi, which is a bit paradoxical as it also hosts a down-to-earth sea gypsy village. Far from everything and stunningly beautiful, Laem Thong is the perfect place to get away from it all in style.